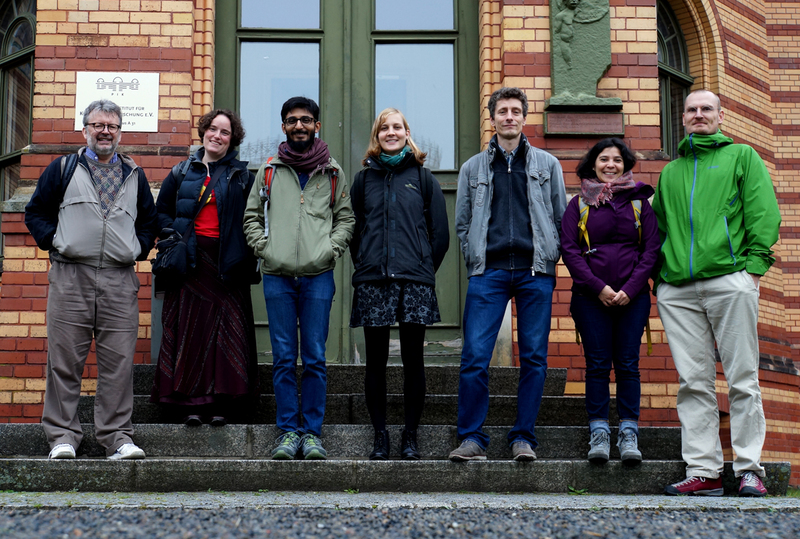 Last week, representatives of all QUEST collaborators met on the Telegrafenberg in Potsdam for the QUEST Workshop on palaeoclimate time series analysis and statistics to disseminate our results, first among ourselves, and then to a public audience. We would like to thank all participants for their contributions and lively discussions. The workshop was very nicely organized by Bedartha and Norbert. Beth came all the way from New Zealand, while David came from Great Britain, Inken from Mainz, and Seb and Cinthya from Bochum. We started with a short summary of ongoing work and activities in the different laboratories. An important point raised and discussed were the planned secondments (Cinthya and Inken had aleady packed for their secondments to Waikato!) and under which conditions Thomas can actively participate to QUEST. We then got quick updates from the different laboratories, all make good progress with respect to quantification of proxy data. A cosy workshop dinner in Old Town Potsdam facilitated more discussions of ideas and thoughts. On Thursday and Friday we had several lectures and hand-on sessions, open to the public. 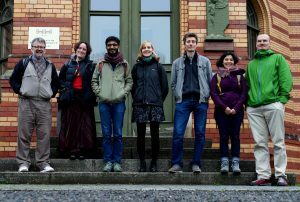 Colleagues from as far as Australia learned about agemodeling, recurrence analysis and other innovative statistical tools developed at PIK Potsdam. Hands-on sessions gave the opportunity to discuss the complexities of unpublished data and the subtilities hidden inside the obvious. The workshop also served as a platform to strike new collaborations and to exchange ideas how to extract a wealth of information from multi-proxy data. The next workshop will take us to the Antipodes.